Genleah 'Star' Swain sang the national anthem at the Lincoln Memorial as a tourist in June. But her latest performance came Thursday, on the last day of the Democratic National Convention. WASHINGTON — Singing the national anthem at the Lincoln Memorial in June was just a warm up for a tourist from Tallahassee, Florida. Her main event was opening the last day of the Democratic National Convention in Philadelphia. 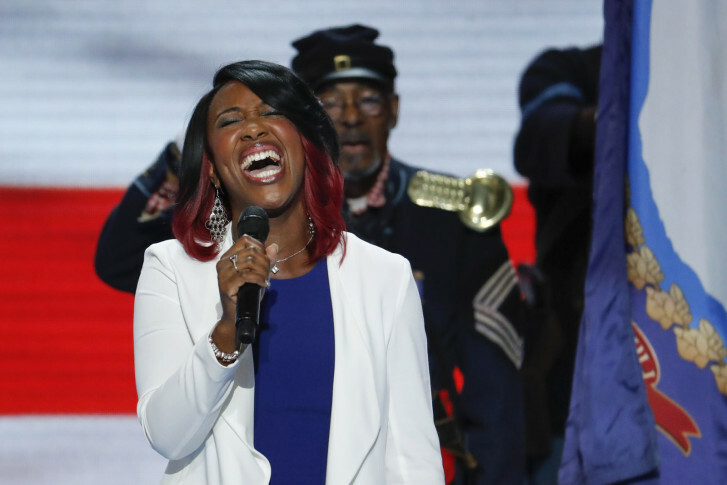 On Thursday, Genleah ‘Star’ Swain gave a rousing rendition of “The Star-Spangled Banner” on the last day of the convention, where Democratic presidential nominee Hillary Clinton takes the stage. A video of Swain, who goes by the names G-Star Swain and Star Swain, singing the national anthem at the Lincoln Memorial mesmerized visitors on June 16.